CJSC ITOMAK was founded by researchers of the Novosibirsk Scientific Centre and is based in Akademgorodok (Academy City). The staff of the company is represented by highly qualified specialists, which include scientists, technologists, engineers, designers-engineers and administrators. On the basis of in-house research and own original technical solutions ITOMAK produces centrifugal gravity concentrators, magnetic separators, lapping systems based on magnetic and magnetic-gravity separators, and provides services for the development and improvement of the technology of concentrating of minerals. With strong scientific and industrial-technological base, established relations with the industries and factories, qualified personnel, the company is constantly improving its manufactured equipment, focusing on the contemporary needs of the mining industry, and especially gold mining industry. The range of manufactured equipment is constantly expanding. CJSC ITOMAK is an intensively developing company successfully working in the market of gold mining equipment Russia for over ten years. In recent years a growing number of customers wanting to buy our hub and use our services. Every year the volume of production has doubled. 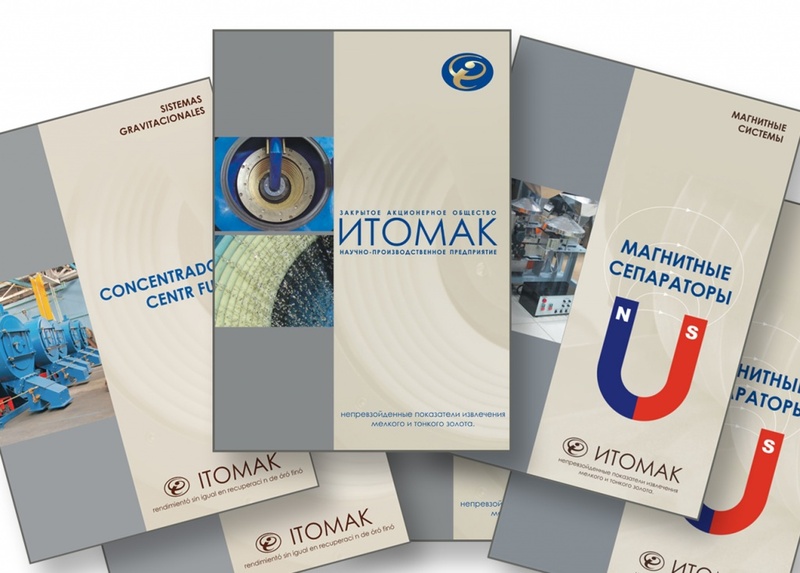 Today, ITOMAK gained a leading position among the developers and manufacturers of centrifugal concentrators both in Russia and worldwide. ITOMAK works closely with a number of gold mining companies, machinery plants and factories, the manufacturers of mining equipment, and scientific research organizations. We have established partnerships with institutes of the Siberian Branch of the Russian Academy of Sciences and famous institutions such as the Mechanobr - engineering, ОИГГМ СО РАН, IRGIREDMET, OOO "Spirit" of ZOLOTOPROEKT (Novosibirsk), the ACADEMY of NONFERROUS METALS AND GOLD (Krasnoyarsk), ЦНИИОлово, КНИГГиМС, ЗабНИИ and many others.